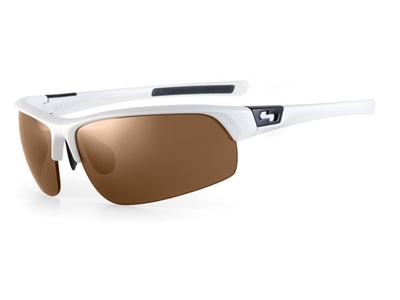 We are proud to introduce the Sundog Range of Glasses which feature the unique Mela Lens Technology whilst also incorporating a choice of a Polarised lens which further reduce glare or a Photochromatic (Transition) lens which changes colour as the light conditions alter on the course. 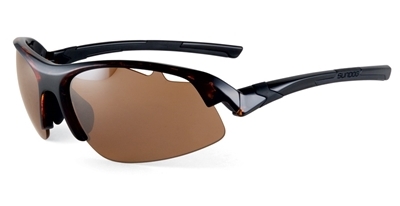 Melanin infused lenses developed in conjunction with Essilor lens of France represents one of the most important advancements in Sundog Eyewear, with significant benefits to vision. Mela lens filtration of the visible spectrum results in relaxed vision without the alteration of colours, actually providing for better natural colour distinction. The result is improved vision without fatigue; especially with bright sunlight and reflection from the ground (water or snow). High Energy Visible Light (HEVL) has the shortest wavelength (380-500) nanometers). This commonly called Blue Light is the most scattered with the intra-ocular media, creating veiled glare in the eye. Although it cannot be seen, this highest energy portion of the light spectrum causes damage to the eye (short term – photokeratitis and long term macular degeneration). 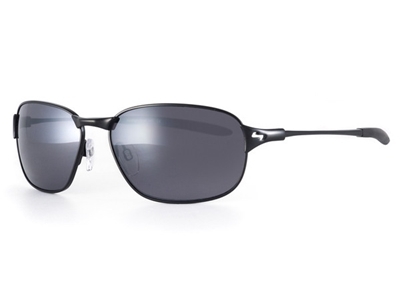 Mela lens technology filters 98% of dangerous blue light effectively reducing veiled glare impact. The result is Ultra Violet light is absorbed more than Blue Light and Blue Light more than green, so contrast is improved, sharpening vision of details. 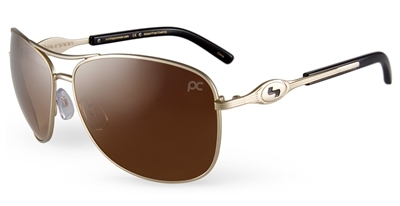 Since the light is not blocked but filtered, colour balance is maintained making them ideal for Golf.